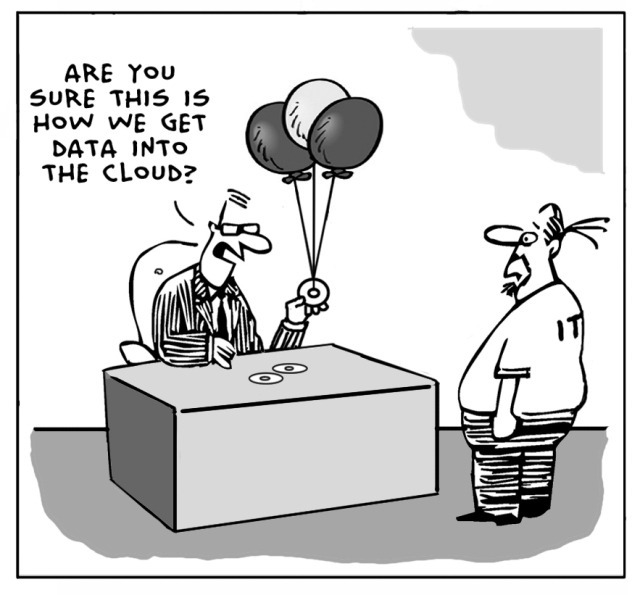 “It’s on the cloud”…what does that even mean? For more than 20 years, fans of cartoon sitcom “The Jetsons” marveled at a futuristic world brimming with state-of-the-art holograms, instant meals and flying cars. Gone are the days where we are tied to our workspaces, saving “early and often” to ensure that a down server or bolt of lightning wouldn’t disrupt our workflow and productivity. Today, businesses are turning to cloud-based services and blockchain technology to usher in a new era of business, and by 2020, it is predicted that 83 percent of enterprise workloads will live in the cloud. There are a lot of misperceptions when it comes to the cloud, including the three reservations listed above. But what if we told you the very reasons you’re concerned about making the switch to cloud services are the exact same reasons you should adopt now? It can be easy to get carried away in the hype of the latest-and-greatest technology, but every once in a while, there is an advancement that revolutionizes our world. Just as cell phones, email and the World Wide Web before it, cloud services are the future of business. Cody Evans is a Technical Specialist and Abby Parker serves as Client Development Director at AdamsGabbert (AG), a catalyst for growth, a spark for innovation, and a facilitator of progress. Founded in 1999 and based in Overland Park, Kan., AG focuses on staffing + recruiting, technology services, and consulting—all designed to make business better for their clients. What systems does your company use for collaboration? Are they working? Share your thoughts on LinkedIn, Facebook or Twitter!